While most of our daily activities are directed towards fulfilling our dreams, it is at night that we create these dreams, while sleeping. Thus it can be noted how important sleep is for the future and bright days for mankind! But jokes apart, sleep, and in fact, deep sleep is something that everyone needs. In modern times, all of us including children go through a very rough and stiff schedule every day. The youth is running after their ambition, while the adults are balancing their work and personal life. Under all this running around, sleep is mandatory to live a full, purposeful and most importantly, sane life. 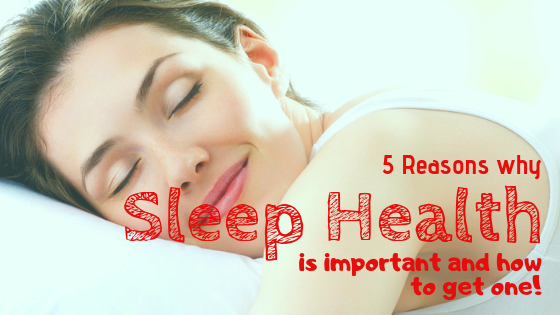 Though sleep is important for multiple reasons, here are the top five ones mentioned here by Insidebedroom. Well here is news, lack of sleep can perhaps make you fat! As shown by some significant studies, lack of sleep is one of the strongest factors that contribute to obesity. It has been noted that people who sleep less compared to the ones who have adequate sleep, tend to weigh more. As discovered through a very significant study, children and adults with a small sleep duration run 89% and 55% risk respectively to fall prey to obesity. While digging deep into the link between lack of sleep and obesity, it has been discovered that lack of sleep interjects with multiple hormone productions that lead to weight gain. Have you noticed that while you stay awake late at night, you body craves for some midnight snack? Well, you are not alone. In fact, eating a snack and gaining more calories is inversely proportional to sleeping less. As mentioned earlier, sleep deprivation interferes with the functioning of the appetite hormones and thus causes poor appetite regulation. Midnight food craving of yours is dominated by the large release of ghrelin, the hormone that stimulates appetite and the lack of leptin in your system, the hormone that suppresses hunger. Remember the last time when you could not concentrate on the meeting because you were too tired? Or the other time in the examination hall when you failed to concentrate on your paper? All this and much more is directly related to the amount of sleep that your body gets. In fact, cognition, concentration, productivity, and performance, all are related to sleep. Sleep is nature’s way of getting the body ready for the upcoming challenges and dealing with the wear and tear that has been caused. Devoid of sleep, the body fails to rejuvenate daily and ends up diseased and tired. This is quite similar to phone charging. Every night after the long day we put our phone on charge. This charge gets the phone ready for the challenges it has to face the coming day! Thus if your brain is not charged, you might falter at problem-solving and decision making. Not only does sleep help one with mental ability, but it also has a significant impact on the physical capability too. In a study conducted in recent times, it has come to be known that basketball players who get long hours of sleep show improved speed, accuracy, mental health and such. For women associated with sports, lack of sleep has resulted in poor exercise among elderly women. In a large study conducted with 2800 women participants, it was discovered that lack of sleep or poor sleep led to lower grip strength, and inability to perform independent task. Higher Risk of Heart attack and Stroke. As it is well known, lack of sleep or poor sleep can lead to a lot of health issues. Sometimes if the conditions last for a long period of time, chronic disease, including heart disease can surface. As per many doctors, and international journals, people who get a minimum of 7 to 8 hours of sleep have lower chances of developing a heart disease than those who get less. Though there are many reasons which make sleep important, one may find it difficult to sleep. Under such circumstance, it is advisable to practice a few relaxing rituals before going to bed. Daily exercise can also be of great help to induce happy and satisfied sleeping. Finally, the importance of a comfortable mattress for satisfied sleep cannot be ignored.